During the Super Bowl tomorrow you'll be able to see two 3D commercials. 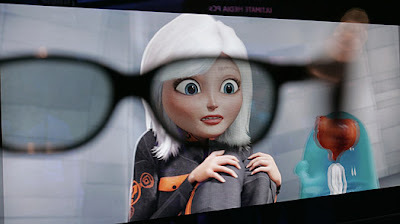 DreamWorks' Monsters vs. Aliens and PepsiCo's SoBe Lifewater will be featured in 3D on Super Bowl Sunday. Traditional red-blue 3D glasses will not work with these clips. The commercials are being broadcast using ColorCode 3-D's amber-violet encoding system. That means you'll have to go out to a retail outlet near you and look for the bin of free ColorCode 3-D glasses, probably stuck somewhere near the Pepsi/SoBe display. The list of shops where you will be able to find the Super Bowl 3D glasses include: Safeway/Vons, K-Mart, Ralphs, Kroger, A&P, Frys, Supervalu, Food Lion, Pathmark, Coburn, Fairway, Fresh Brands, Hy Vee, Nash Finch, Dollar General and Winnie Dixie. Target and Meijers will have the 3D glasses only on January 31st. The 3D Monsters vs. Aliens ad will be broadcasted along with the SoBe 3D spot at the end of the second quarter of the Super Bowl. DreamWorks' Monsters vs. Aliens, the Company's first InTru 3D release, opens nationwide March 27, 2009. InTru 3D is Intel's new system to create 3D footage for 3D Movie Theaters. For more information, see this article from Time. Enjoy the game - and the commercials! Tonight's feature is Night of the Comet, directed by Thom Eberhardt starring Robert Beltran, Catherine Mary Stewart, Kelli Maroney, and Mary Woronov. On this day in 1845, "The Raven" by Edgar Allan Poe was published in the New York Evening Mirror. 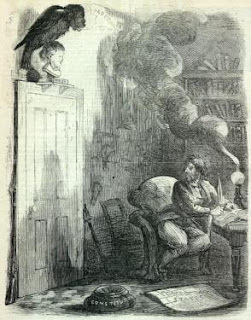 You can read it online at The Project Gutenberg EBook of The Raven, with illustrations by Gustave Doré. You can hear Garrison Keillor's (A Prairie Home Companion) rendition by clicking here (RealAudio). This video showcases "The Raven", a tune from Tales of Mystery and Imagination, The Alan Parsons Project CD that covers the works of Edgar Allan Poe. Happy Birthday to American actor Elijah Wood, who was born this day in 1981. 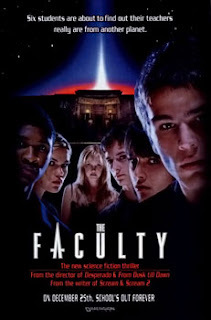 Known worldwide as the character Frodo Baggins in Peter Jackson's three Lord of the Rings movies, Wood also played the part of Casey Conner in the earlier horror film The Faculty (1998). On this day in 1951 nuclear testing at the Nevada Test Site began with a one-kiloton bomb dropped on the Frenchman Flats. In 1983 the Cold War was still going on. On November 20 of that year ABC televised this frightening story of the weeks leading up to and following a nuclear strike on the United States. The bulk of the activity centers around the town of Lawrence, Kansas. 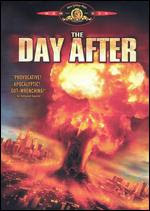 The Day After was directed by Nicholas Meyer. The cast included Jason Robards, JoBeth Williams, Steve Guttenberg, John Cullum, John Lithgow, and Amy Madigan. It scared the hell out of television viewers nationwide. 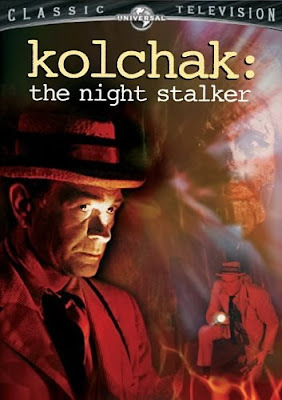 "Kolchak: The Night Stalker" is an American television series that aired on ABC in 1974. It featured a newspaper reporter — Carl Kolchak, played by Darren McGavin — who investigates crimes with mysterious and unlikely causes that the proper authorities won't accept or pursue. Crimes which seem to point to a Jack the Ripper copycat, voodoo priestesses and the walking dead ("Zombies"), a coven of warlocks ("Vampire"), and an extra-hairy luxury liner passenger with a taste for his shipmates ("Werewolf"). Though the show only lasted 20 episodes, it is often credited as the inspiration for "The X Files" and was succeeded by a second television series with a new cast and characters in 2005, as well as several novels and comic books. 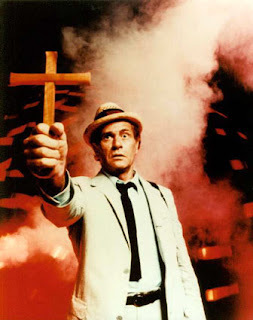 The Kolchak character originated in an unpublished novel, The Kolchak Papers, written by Jeffrey Grant Rice. In the novel, Las Vegas newspaper reporter Carl Kolchak tracks down and defeats a serial killer who is really a vampire named Janos Skorzeny. The novel was finally published by Pocket Books as a mass-market paperback original under the title The Night Stalker with a Darren McGavin photo cover to tie in with the movie. The novelizations of the first two movies were republished by Moonstone in 2007 as an omnibus edition called The Kolchak Papers. Rice was approached by ABC who optioned the property, which was then adapted by Richard Matheson into a TV movie produced by Dan Curtis and directed by John Llewellyn Moxey. Darren McGavin played the role of Carl . The Night Stalker aired on the ABC network on January 11, 1972 and garnered the highest ratings of any TV movie at that time (33.2 rating - 54 share). Matheson received a 1973 Edgar Award from the Mystery Writers of America for Best TV Feature or Miniseries Teleplay. 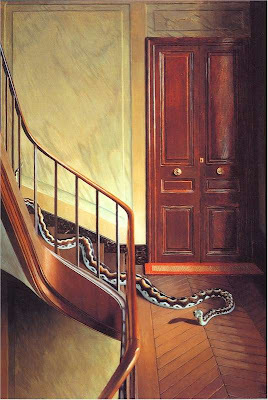 Impressed by its success, ABC commissioned Richard Matheson to write a second movie, The Night Strangler, which featured another serial killer in Seattle who strangled his victims and used their blood to keep himself alive for over a century through the use of alchemy. The Seattle Underground City was used as a setting for much of the action, and provided the killer with his hiding place. Dan Curtis both produced and directed the second movie, which also did well in the ratings. Rice then wrote a novelization based on Matheson's screenplay, a reverse of the situation for the first movie. The novel was published by Pocket Books as a mass-market paperback original under the title The Night Strangler with a close-up of the monster's eye to tie in with the movie. Sources include this Wikipedia article. Director Tobe Hooper was born on this day in 1943. This Master of Horror has written and directed movies in the horror genre for over three decades, and has enthralled audiences with such offerings as The Texas Chainsaw Massacre, Salem's Lot (posted here on Friday Night Frights), and Poltergeist, to name just a few. He has contibuted to several horror anthology series as well. 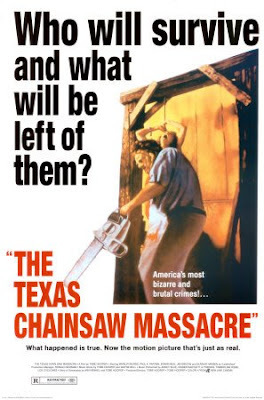 Here's one of the all-time greatest trailers, for his original 1974 The Texas Chainsaw Massacre. Happy Birthday Ernest Borgine, born on this day (January 24) in 1917! Here's one of his movies, The Devil's Rain, directed by Robert Feust. The cast includes Ernest Borgnine, Tom Skerritt, Joan Prather, Eddie Albert, Ida Lupino, William Shatner, Keenan Wynn, and John Travolta. This horror oddity tells the story of a well-networked throng of devil-worshipers populating a small Arizona town who possess a strange crystal icon which houses the captive souls of their sacrificial victims. The coven, led by the thick-browed Jonathan Corbis (Ernest Borgnine), are also determined to get their hands on a diabolical "Book of Names" which contains the identities of those victims. After the family of Tom Preston (Tom Skeritt) are murdered by the coven for concealing the book, Tom sets out to avenge them. 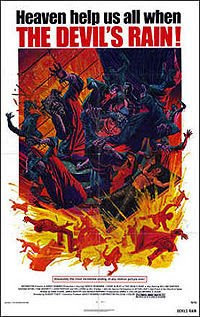 During an outrageous climax — in which none other than William Shatner is offered up in sacrifice and Borgnine is transformed by a lightning bolt into a chunky horned demon — the receptacle of souls is shattered, releasing the title storm and causing the congregation to melt into puddles of multicolored goo (a scene which seems to last forever). Produced in 1975 but released two years later, this film touted John Travolta's name at the height of his popularity, though his role is remarkably small (he does melt nicely at the end, however). 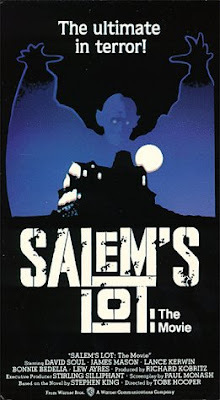 Tonight's feature is the television miniseries Salem's Lot, directed by Tobe Hooper and based on the novel by Stephen King. It stars David Soul, James Mason, and Lance Kerwin. Sinister events bring together a writer returning home to Salem's Lot after many years, a suave antiques dealer whose expertise goes beyond bric-a-brac and the dealer's partner - a vampire bent on draining the local bloodlines. American actress Linda Blair was born on this date in 1959. 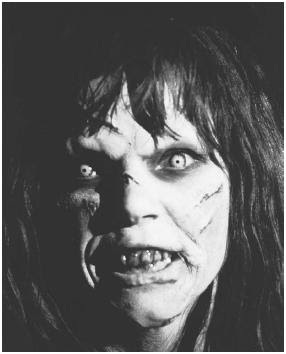 She is most famous for her role as the possessed child, Regan, in the 1973 film The Exorcist. Here's the famous spiderwalk scene that was cut from the theatrical release. It's available on The Exorcist: The Version You've Never Seen. The Horror Writers Association was formed, in part, to foster a greater appreciation of dark fiction among members of the general public. In 1996 they compiled a recommended reading list. Bear in mind that since the books that appear here were picked using a survey of HWA's general membership in 1996, many excellent books published more recently do not appear here, and some of those that do are now out of print. Note: This list is arranged alphabetically by author's last name. No ranking is implied. "I want the people to know that they still have 2 out of 3 branches of the government working for them, and that ain't bad." There will be a lot on President Obama's plate when he takes office. 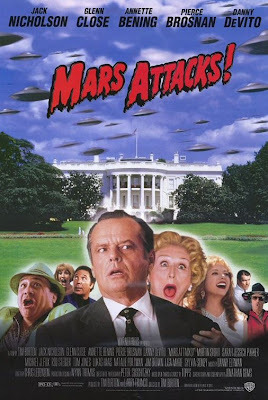 Another President with a plate full of problems was Jack Nicholson's character, President James Dale, in the 1996 movie Mars Attacks! Directed by Tim Burton, this movie features sooo many familiar actors, including Jack Nicholson, Glenn Close, Annette Benning, Pierce Brosnan, Danny DeVito, Martin Short, Sarah Jessica Parker, Michael J. Fox, Rod Steiger, Tom Jones, Jim Brown, Lukas Haas, Natalie Portman, Pam Grier, Jack Black, Christina Applegate, Joe Don Baker, etc. and so on. A bunch! In this movie the Earth is invaded by Martians with irresistible weapons and a cruel sense of humor. Sounds great to me! Check out their site for other comics, as well. January 12, 2009 - Studio 407 is excited to launch the first issue of "Netherworld" on March 25th. Studio 407 recently announced that their vampire series The Night Projectionist was picked up by Myriad Pictures along with the much anticipated Hybrid which starts filming later this year, directed by Ernie Barbarash (Cube Zero, American Psycho 2). Now comes an original new series Netherworld, which takes the zombie/undead genre to a terrifying new level. Adding to Studio 407’s growing stable of horror titles, Netherworld is penned by emerging writing talent Chad Jones and penciled by Brazilian artist RB Silva. Jones says "I've been writing genre for as long as I can remember. So, I was kicking around a novel idea and was trying to describe the creature concept in the story to a friend and made the off-hand comment, "well it's not like they're alien zombies or anything..." Jones continues "And I stopped. And I thought, hmm.... that would be kind of awesome. Alien zombies. Hell, I gotta write that! And suddenly, Netherworld became my obsession. Everything else that I had been writing, planning to write or thinking about writing, got put to the side and I started hammering the keyboard like a mad person. And Netherworld came out in a flourish of alien body parts, political intrigue, humans running for their lives and lots and lots of blood." Netherworld is described as: On a distant planet, a team of specialists investigate the mysterious remains of an alien civilization brought to the brink of extinction. Dead alien bodies litter the streets of a massive city of an once majestic, extraterrestrial culture still strange and foreign to them. As the team unravels the enigma surrounding this cataclysmic event, they discover the planet’s horrible secret, and soon find themselves surrounded by a legion of undead aliens. 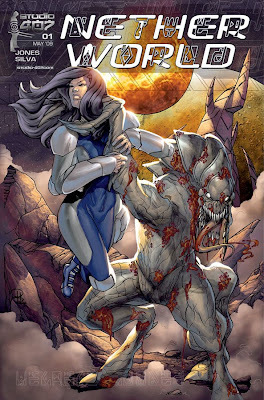 The comic series is written by Chad Jones and artist RB Silva. Broken Frontier says "It may be the best small press sci-fi book going." Bringing out of this world action with full on terror, Netherworld blends Aliens with Dawn of the Dead, and will be sure to satisfy both horror and science fiction fans alike. For more information on Studio 407, visit them online at (http://www.Studio-407.com), or check them out in your local comic book shop! Studio 407 brings together the imagination and creative talents of writers and artists from North America and Asia to generate a flow of distinct and kinetic East-meets-West entertainment. A writer driven studio that blends innovation with tradition, Studio 407 is dedicated to publishing the highest quality in comics and manga, across a wide variety of genres. From capes to kung fu, giant robots to vampires, and secret agents to mad scientists; at Studio 407, we sweat the details. http://www.Studio-407.com. Also on this date: in 1977 snow fell in Miami, Florida. This is the only time in the history of the city that snowfall has occurred. 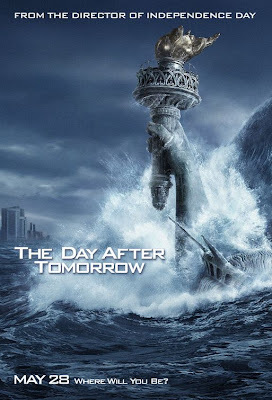 The year 2004 brought us some more unusual weather in the movie The Day After Tomorrow. Written and directed by Roland Emmerich and starring Dennis Quaid, Jake Gyllenhaal, and Emmy Rossum, the movie is about a climatologist (Quaid) who tries to figure out a way to save the world from abrupt global warming. He must get to his young son in New York, which is being taken over by a new ice age. Special effects include tornados in Los Angeles, tidal waves, and a very quick freeze. Looking for something to read these cold winter nights? Or just need some suggestions to add to your Horror Library? 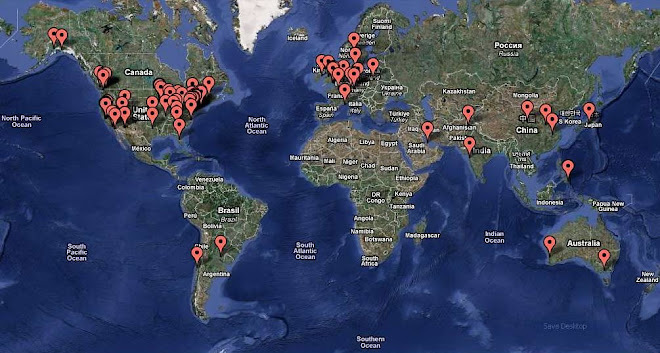 MonsterLibrarian.com is a site dedicated to helping librarians with horror genre collection development and readers advisory as well as helping readers of horror find another good book. 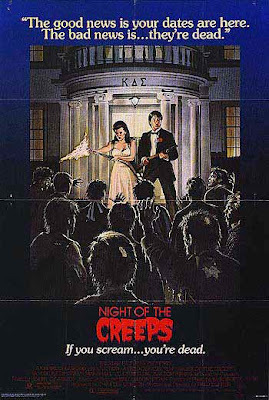 Tonight's feature, Night of the Creeps, was written and directed by Fred Dekker. It stars Tom Atkins, Jason Lively, and Jill Whitlow. This film has yet to be officially released onto DVD. On this date (January 15) in 1889 the Coca-Cola Company, then known as the Pemberton Medicine Company, originally incorporated in Atlanta, Georgia. The Coca-Cola formula is the Coca-Cola Company's secret recipe for Coca-Cola. In 1985 Larry Cohen directed The Stuff, a movie about another consumable loved and ingested by millions. But what exactly is in The Stuff? Are you eating it ...or is it eating you? Here in Minnesota, winter has us in it's icy grip. The temps are below 0, the snow is accumulating, and the lakes are frozen over. I went to the game last night. The Minnesota Wild beat the Phoenix Coyotes 6 to 3. 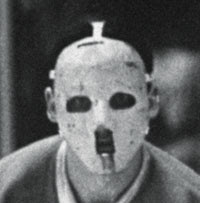 Here's a list from The Hockey News of their Top 10 Scary Goalie Masks. This is hands down the BEST zombie book I have EVER read (and that includes Zombie Haiku). 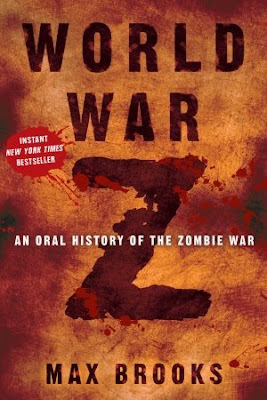 World War Z: An Oral History of the Zombie War, by Max Brooks, is a follow-up to his previous book, The Zombie Survival Guide, but is more serious in tone, and strives to be both factually and psychologically convincing. Rather than a grand overview or a single perspective, World War Z is instead a collection of individual accounts in the form of interviews between the author and the characters. Taking place in the 2010s, the book charts a war against zombies from remote oddities, to a global pandemic to mass panic, and then to an armed struggle to reclaim the planet from the undead. In addition, the personal accounts describe the changing religious, geo-political, and environmental aftermath of the Zombie war. Inspired by the The Good War and George Romero, Brooks uses World War Z to provide commentary on a wide range of topics including government ineptitude, survivalism, and uncertainty in our times. It has been praised by critics and the audiobook version, complete with an all-star cast, won the 2007 Audie Award. A film based upon the book is currently in development, and is expected to be released in 2010. Today is the 116th year anniversary of the birth of Clark Ashton Smith. 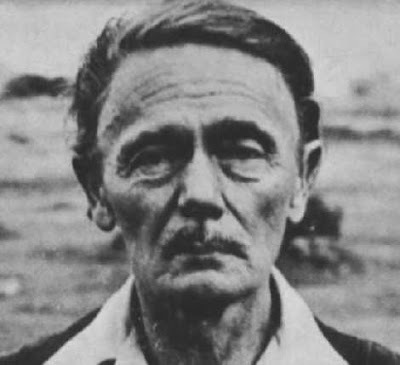 Clark Ashton Smith (January 13, 1893-August 14, 1961) was a poet, sculptor, painter and author of fantasy, horror and science fiction short stories. It is for these stories, and his literary friendship with H.P. Lovecraft from 1922 until Lovecraft's death in 1937, that he is mainly remembered today. With Lovecraft and Robert E. Howard, also a friend and correspondent, Smith remains one of the most famous contributors to the pulp magazine Weird Tales. Smith wrote most of his weird fiction and Cthulhu Mythos stories, possibly inspired by Lovecraft. Creatures of his invention include Aforgomon, Rlim-Shaikorth, Mordiggian, Tsathoggua, the wizard Eibon, and various others. In an homage to his friend, Lovecraft referred in some of his stories to a great dark wizard, "Klarkash-Ton." On this date (January 12) in 1915 the United States House of Representatives rejected a proposal to give women the right to vote. 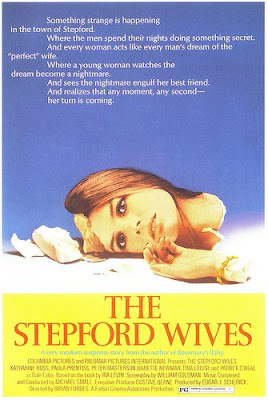 The Stepford Wives (1975) was directed by Bryon Forbes and based on the novel by Ira Levin (whose other novels made into movies include Rosemary's Baby and The Boys from Brazil). I've been reading this series since I discovered author Charlie Huston from his books in the Hank Thompson trilogy (more on that trilogy at the end of this post). 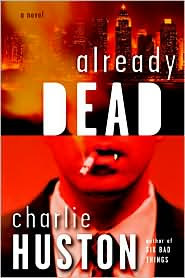 You can learn more about Charlie Huston, whom Stephen King calls "one of the most remarkable prose stylists to emerge from the noir tradition in this century", at the author's website - Pulpnoir.com. The Joe Pitt Casebooks are an ongoing series of supernatural noir thrillers. Each casebook chronicles Joe Pitt's life as well as his struggles in the underground of vampire clans of New York. At first Pitt is an unaffiliated vampire, living in between the cracks by doing jobs for various clans in exchange for blood and freedom. However, as the series progresses, this shifts and Pitt's life evolves with each book. "Those stories you hear? The ones about things that only come out at night? Things that feed on blood, feed on us? Got news for you: they’re true. Only it’s not like the movies or old man Stoker’s storybook. It’s worse. Especially if you happen to be one of them. Just ask Joe Pitt. There’s a shambler on the loose. Some fool who got himself infected with a flesh-eating bacteria is lurching around, trying to munch on folks’ brains. Joe hates shamblers, but he’s still the one who has to deal with them. That’s just the kind of life he has. Except afterlife might be better word. From the Battery to the Bronx, and from river to river, Manhattan is crawling with Vampyres. Joe is one of them, and he’s not happy about it. Yeah, he gets to be stronger and faster than you, and he’s tough as nails and hard to kill. But spending his nights trying to score a pint of blood to feed the Vyrus that’s eating at him isn’t his idea of a good time. And Joe doesn’t make it any easier on himself. Going his own way, refusing to ally with the Clans that run the undead underside of Manhattan–it ain’t easy. It’s worse once he gets mixed up with the Coalition–the city’s most powerful Clan–and finds himself searching for a poor little rich girl who’s gone missing in Alphabet City. Now the Coalition and the girl’s high-society parents are breathing down his neck, anarchist Vampyres are pushing him around, and a crazy Vampyre cult is stalking him. No time to complain, though. Got to find that girl and kill that shambler before the whip comes down . . .and before the sun comes up." This was my introduction to the author. Not horror, they are an engrossing example of pulp noir. Great reads, each one! You can learn more, and even read each of the books in the trilogy online, by clicking here. 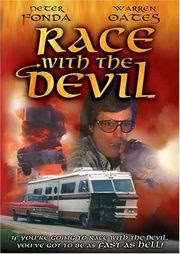 Tonight's feature is Race With the Devil, directed by Jack Starrett and starring a stellar cast from the 70's which includes Peter Fonda, Warren Oates, Loretta Swit, and Lara Parker. Today is the 74th birthday of Elvis Presley. To mark the ocasion, here's Bubba Ho-tep, directed by Don Coscarelli and starring Bruce Campbell and Ossie Davis. I strongly recommend watching the DVD with the commentary by Bruce Campbell in character as Elvis. On this day (January 8) in 2002, President George W. Bush signed into law the No Child Left Behind Act. To commemorate this event, here's the movie The Bad Seed, directed by Mervyn LeRoy and starring Nancy Kelly and Patty McCormack. An ideal housewife begins to suspect her loving adolescent daughter may be a heartless killer. I published a previous post about this movie, with a trailer, back in September. 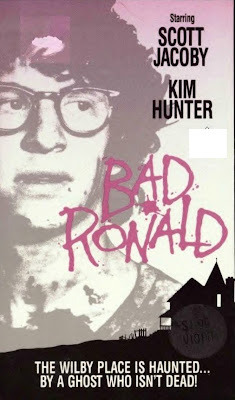 Here's the full length television movie Bad Ronald, directed by Buzz Kulik. Ronald (Scott Jacoby), a nerdy high school youth, accidently kills a neighbor's young daughter. 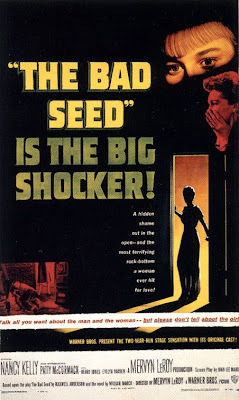 Panicking mother (Kim Hunter) fears the police will not believe that it was an accident. She moves her son into a bathroom that she turned into a secret hiding place. After her death, a new family moves in. In the mean time, Ronald has gotten lost in a fantasy world created in his own head from being hidden away for so long. Here's the MST3K presentation of Hobgoblins. The original movie was written and directed by Rick Sloane. 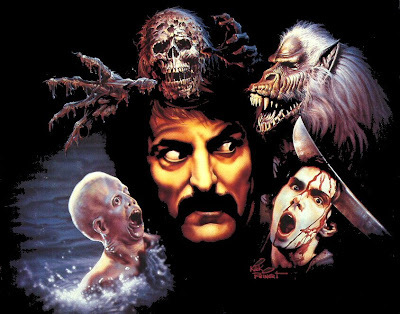 A documentary from Fangoria detailing the career of makeup artist Tom Savini, including clips from the various movies he's worked on. 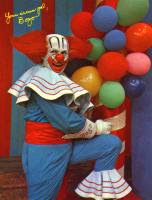 On this date (January 5) in 1959, "Bozo the Clown", a live children's show, premiered on TV. In honor of this occassion, here's the trailer for Killer Klowns from Outer Space. 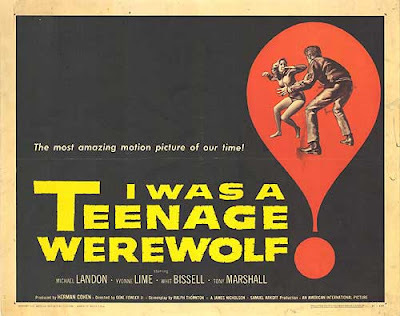 I Was a Teenage Werewolf was Michael Landon's first full length movie. A troubled teenager seeks help through hypnotherapy, but his evil doctor uses him for regression experiments that transform him into a rampaging werewolf. MST3K presented this as well. 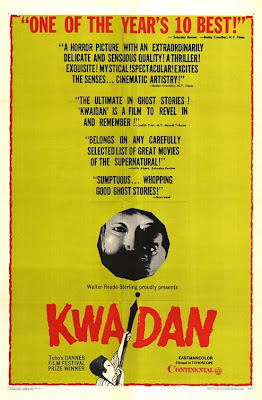 Tonight's feature is the Japanese horror classic Kaidan (aka Kwaidan), directed by Masaki Kobayashi. This horror anthology contains four separate stories. "Black Hair": A poor samurai who divorces his true love to marry for money, but finds the marriage disastrous and returns to his old wife, only to discover something eerie about her. "The Woman in the Snow": Stranded in a snowstorm, a woodcutter meets an icy spirit in the form of a woman spares his life on the condition that he never tell anyone about her. A decade later he forgets his promise. "Hoichi the Earless": Hoichi is a blind musician, living in a monastery who sings so well that a ghostly imperial court commands him to perform the epic ballad of their death battle for them. But the ghosts are draining away his life, and the monks set out to protect him by writing a holy mantra over his body to make him invisible to the ghosts. But they've forgotten something. "In a Cup of Tea": A writer tells the story of a man who keep seeing a mysterious face reflected in his cup of tea. Part of what makes this film so special is the combination of wonderful cinematography - and a remarkable set design schema. The colors in this film are incredibly hot and emphatic. Cannes Film Fesival winner in 1965 -Jury Special Prize. Nominated for an Oscar in 1966 for Best Foreign Language Film -Japan. Here's an episode of the NBC show "Fear Itself". New Year's Day was written by Steve Niles (30 Days of Night) and directed by Darren Lynn Bousman (Saw II). A woman wakes up on New Year's morning to discover that the city is in an uproar. She vaguely remembers a party and it is assumed she passed out. She then attempts to get to her friend's apartment while continuing to remember parts of the party and all the while avoiding zombies.